Guangzhou Maritime Court has sold 2006-built multipurpose 648 teu containership Zhong Liang Dong Hai via an online auction. 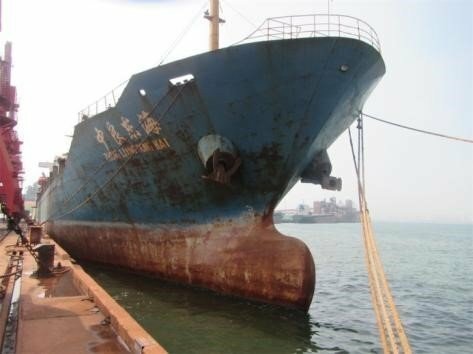 The vessel was detained by the court due to a financial dispute between the ship’s owner Taicang Zhongliang Shipping, a subsidiary of Yangpu Sinowell Shipping, and its creditors. Zhejiang Chaoyue Shipping has acquired the vessel for a price of RMB19.7m ($2.88m), higher than the court valuation price of RMB17.9m. Yangpu Sinowell Shipping is now in deep financial trouble and has suspended its operations since June.